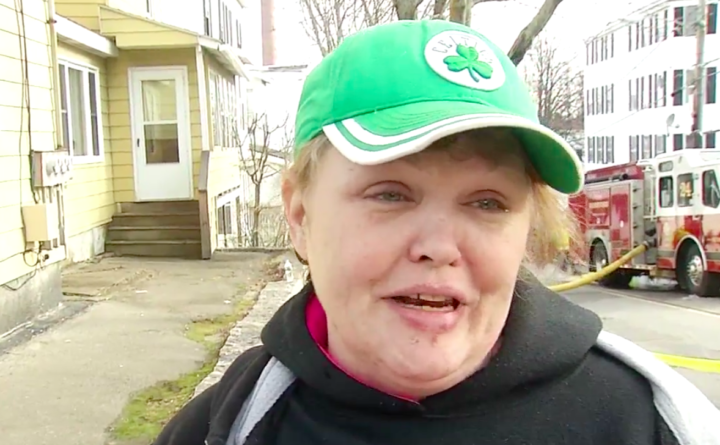 Donna Miller speaks to CBS 13 about her roommate, Arnie Goldman, who died in an apartment building fire in Biddeford on Monday morning. Arnie Goldman, who investigators believe died in a Biddeford apartment building blaze Monday morning, as seen in this undated photograph provided to CBS 13 by his roommate, Donna Miller. A man is dead and more than 30 people are without home following a large apartment building fire in Biddeford Monday. The victim’s roommate spoke to CBS 13 Tuesday. Donna Miller said she came home to the flames, but wasn’t able to get her elderly roommate out. “I kicked the front door open first and there was just smoke, black smoke, and I kept screaming his name and I couldn’t get him out,” Miller said. Miller said she left her Hill Street apartment Monday morning to drive her daughter to school, and when she came back, her building was on fire. “I literally went to Biddeford High School, come back, and smoke coming from both sides of building and I kept screaming, ‘Arnie was in there. Arnie was in there,’” Miller said. Investigators said the elderly man who lived on the first floor died in the fire. His body found under the rubble. 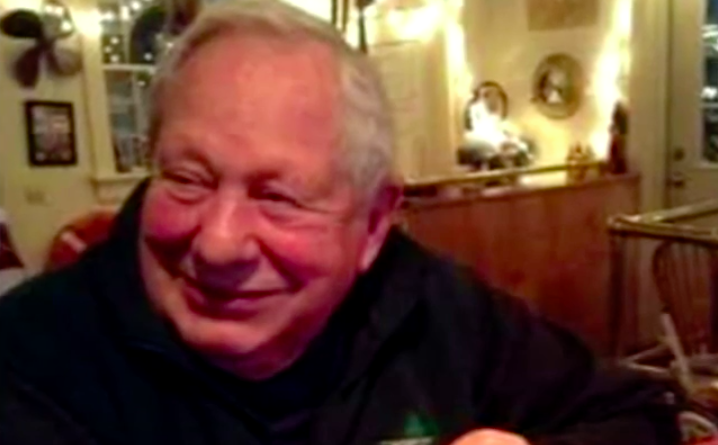 The State Fire Marshal’s Office says they have no reason to believe it was anyone other than Arnold Goldman, but the body is so badly burned they may never get a positive identification. Miller said Goldman, who she called Arnie, was her best friend who she cared for. She said he had just moved in with her and her daughter two months ago. “His body was right to the left of me and that’s where he was found. He was getting dressed, but he couldn’t hear the fire alarms because, you know, he’s 89, and 10 minutes I was gone. I’m just appalled how fast that fire went,” Miller said. The fire started around 8:30 a.m. Monday and tore through the building for hours. It wasn’t until the afternoon that firefighters were able to get in under control and go inside. Investigators say they believe the fire started in the first floor unit where the elderly man was found. They said they believe the fire was accidental but because the destruction was so severe they may never know the exact cause. “This is a 20-year friendship I’m missing now. So just take it day by day,” Miller said. The Red Cross is assisting the 34 people who are now without a home. The fire department said they’ll remain on scene Tuesday, watching for hot spots. They hope to remove what’s left of the building. The Biddeford General Assistance Office is working with local agencies to coordinate donations for the tenants who have been affected by the fire on Hill Street. To make a donation or to inquire about what assistance is available, please contact the General Assistance Office at (207) 284-9514.